If you’re a homeowner looking to sell your beloved property, there are numerous factors that should be considered in order to maximize the value of the home. Here are some tips that will help you complete your sale in a quick and efficient way. A prospective buyer shouldn’t come through the door to see half-washed dishes sitting in the sink or dust littering the bathroom. It should always be ready for visitors at all time. Be sure that you take the necessary time to walk through the house and check for areas that need a little scrubbing. Your eyes might already be accustomed to your home’s interior so it helps to have a family member or friend double-check for you. An updated and remodeled kitchen can provide a significant boost to the asking offer. While it may seem like a costly investment at first, buyers tend to favor the kitchen area. Use this to your advantage. If you’re not looking to invest as much into your kitchen, consider repainting it and replacing the cabinet hardware as those are most inexpensive purchases that you can make that still provide value. Showcasing a dirty home will almost always dissuade a potential buyer. Don’t forget about the exterior of your home as well. Before a buyer walks into your property, they’re going to scan the outer walls and front porch. A majority of first impressions will be made here. Once they enter the home, they could be left with a sour taste in their mouth and ultimately be distracted the entire tour. Bio: Kuba Jewgieniew is the CEO of Realty ONE Group. At Realty ONE Group, their experience local real estate agents will simplify the entire process of buying or selling your home. 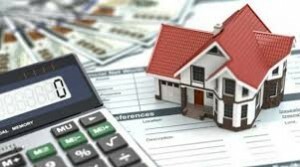 As a first-time real estate investor, there are costs that are going to pile up on you unexpectedly – such is the way of life. If you purchase a property, be aware that it can come with potential issues that can threaten your wallet not only once, but repeatedly. 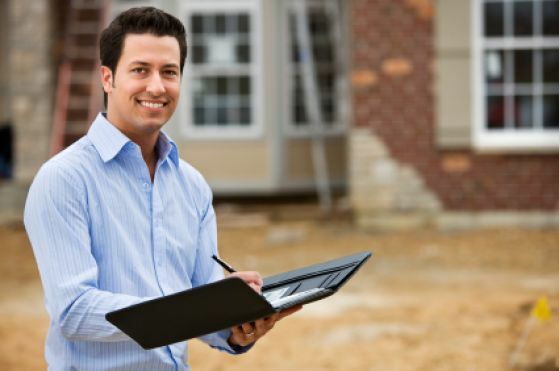 Prior to purchasing a property, it’s advised that you seek out a home inspector. An experience inspector will assess what’s damaged, what’s not, and what to look out for in the future. If you want the most value out of it, then you won’t take his advice with a grain of salt. Obtain an inspection, get your report, and do some in-depth repairs before they eventually lead to more serious problems. Vacancy is not only an issue when it comes to having your property filled with tenants, but it’ll cost you twofold. You’ll miss out on the regular payment that a tenant will normally give you monthly as well as the cost of the mortgage that you’re still going to have to pay. Managing your property carefully and effectively is one of the most important things for you as a landlord. Hiring a property manager can help relieve some of that stress but the cost may turn some people off. 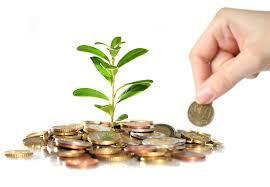 Real estate investing can be a lucrative opportunity for you. Whether you’re flipping a home or renting out an apartment complex to tenants, by keeping track of your finances, and setting aside capital for other costs, you’ll eventually be able to create a separate form of income for yourself and your family. Bio: Realty ONE Group is led by Kuba Jewgieniew, the CEO of one of the fastest growing companies in America, as rated by Inc. 500. When Justin and Kate Treher hired a home inspector to seek out any damages in their new house, they got more than they bargained for. After receiving a pass from the inspector, the couple then went on to move into the house, eager for a fresh start. After comfortably settling in, they realized that the inspector might have missed a few things – a few things that would cost them thousands of dollars in repairs. The previous homeowner claimed to have tested the sump pump in the basement – which turned out to be a fluke. Shortly after moving in, the pump failed and flooded the entire basement. To make matters worse, they then found out that their sunroom was infested with termites and covered entirely in mold. These occurrences do happen, and they can happen to you as well. Make sure that you hire a trustworthy home inspector that has been in the field for years and can prove it also. Performing proper research on a home inspection company is vital in obtaining the comprehensive report that you need. Check their references – but take them with a grain of salt as they might be biased opinions. Ask them what their special expertise is and have them provide a copy of a sample inspection report so you know what you are getting out of the whole process. Be sure that they can communicate with you properly. Moving into a new house should be an exhilarating experience. Finding out there have been previous damages that haven’t been mentioned is not only going to be frustrating but it could set you back a few thousand dollars in repairs. Bio: Kuba Jewgieniew is the head of Realty ONE Group, a real estate firm focused on providing ethical, professional, and results-oriented services to property owners and prospective real estate buyers. Whether you are getting ready to sell your home, or you’re in the first few years of ownership, there is no reason not to spruce things up a bit. Focusing on your kitchen, your bathroom and your walls have huge benefits for the value of your home. Remodeling is a big job, but if you break these tasks down into chunks you’ll find that these projects will be finished before you know it. Tiling sounds like a difficult prospect, but it depends on what you want to do. Re-tiling the entry way of your home is a fairly simple task. 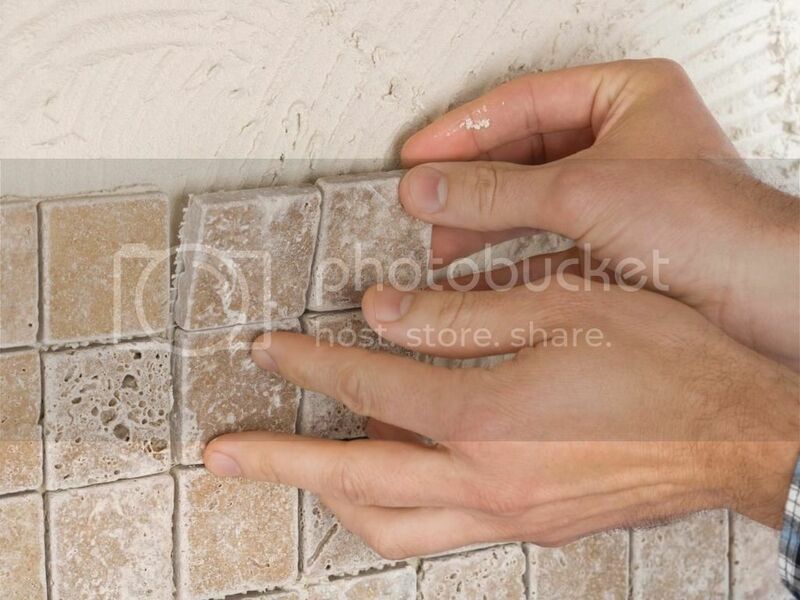 You need a hammer to break up the tiles, and you’ll need to grout the area and lay the new tiles down. It can also get fairly messy, and it’s easy to feel overwhelmed. Stick with the job and give the flooring a good pressure washing when you’re finished. It will look amazing. If you plan to stay in the home for a few years, paint the walls colors that you want. Keep a theme in mind that meshes with your furniture, and try to match all the elements of your home to complete the look. That means using rugs and other accents if you don’t have carpets. Putting new doors onto your old cabinets is a cost-effective way to completely change the look of your kitchen. You can buy new cabinet doors, as long as you have measured them properly, from your local home improvement store. You can also use new door knobs, which make old cabinet faces look completely different. Many people love dogs, cats, birds, and other pets, but it’s best not to assume that Fido, Fluffy or Polly are positive selling features. Take pets to day care or arrange for a pet sitter outside of the home on the day of the open house. When the seller has an infant or small children, it’s important for safety reasons to arrange for grandma or an offsite babysitter during the open house. According to “Open House Murders,” bad things sometimes happen during these events. With Fido, Fluffy, or kids in mind, it’s important to pick up toys or pet residue from the yard or outdoor areas. Make sure that the flower bed looks great and that shrubs are trimmed, too. A fresh coat of paint or stain on the deck or fence will also make a good first impression on prospective buyers and agents, too. It’s nice to offer something to eat at an open house, but it’s best to keep it simple. Finger foods, such as cut fruits and vegetables, are both refreshing and healthy for all. It’s important to consider floors and carpets when offering foods at an open house because some people are likely to eat while they browse around the property. Kuba Jewgieniew is the CEO of Realty ONE Group. He began Realty ONE Group in 2005, and it is now the seventh largest real-estate brokerage in the United States. If you’re looking at Wyckoff homes for sale, you probably can’t wait to make your purchase and move on. That’s always an exciting day, of course. However, that’s also just the first step in a long line of living in a beautiful home in Wyckoff. 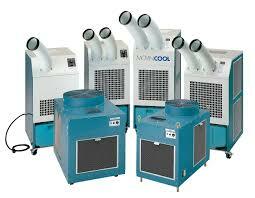 Another essential component is maintaining that house to the best of your abilities. Believe it or not, one of the easiest things you can do to maintain your home is simply keep it clean. The type of debris that people bring in from the outside plays a huge part in wearing down floors over time. So be sure you clean your floors regularly and have people remove their shoes when they enter your home. This cleaning regiment must also involve measures you take around the seasons. Everyone’s heard of spring cleaning before, but it’s essential you actually do it. All the wear and tear the New Jersey winter can put your home through must be addressed. Everything from cleaning out your garage to your gutters needs to be a priority. The same goes for getting ready for winter. Clean out the gutters again and go through every bit of your home to ensure it’s ready for the cold weather and snow. Ebergen County Homesare experts in the Ridgewood homes for salemarket. So if you’re thinking about making the area your new home, you’ll want to rely on the expertise and experience in the area to ensure you get the house of your dreams in the perfect location. Southern California offers plenty of beautiful communities with red hot real estate markets. Now is an amazing time to buy real estate in Los Angeles for a few reasons. According to a recent report by the online real estate agency Redfin, Los Angeles is the second hottest real estate market in the entire country. Redfin also highlighted Orange County and San Francisco as having awesome markets. Los Angeles was only beat out by San Fransciso which is a community known for wealth. Los Angeles is big when it comes to the number of homes being bought. Los Angeles is a very competitive market with a majority of the deals involving “bidding wars.” It’s estimated that 8 out of 10 closed deals in Los Angeles involve a mini war in the process. Los Angeles is so competitive that it’s even common for all-cash offers to roll in. 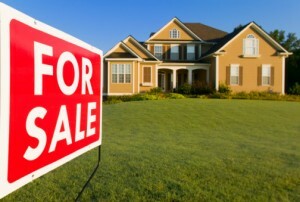 Due to the competitive nature of the market, nearly half of the home sales end with a price above the asking price. Despite the competitive nature of the Los Angeles market, a few agents were quoted as recently saying that multiple offers they received didn’t involve a counter-offer. One agent said that this is nearly unheard of in Los Angeles, where most homes receive up to 40 offers at a time. This is actually a good sign for buyers because it means that the competition is not as fierce as it typically is. The time to act in this market is right now!